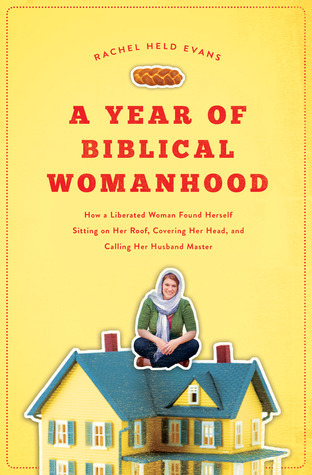 A strong Christian woman embarks on a radical life experiment—a year of biblical womanhood. I read about this book on the internet and the first thing I thought: What a great addition to my Walking With Women study! It seemed to me this was a total sister… exploring what she could learn about women from the scriptures. Evans took a different path than I would, but I like to explore other people’s paths as much as my own. Rachel Held Evans is a regular woman, like the rest of us. She grew up in America, touched by faith but also the secularism of the American world. A secularism that tends to sometimes be at odds with some women of faith choosing more traditional lives in the name of religion. She wanted to explore more than just her own flavor of religion, she wanted to investigate the beliefs of others. She planned to explore various teachings of the Bible, in an effort to understand how different people can read things differently for what these books teach. The book is an exploration of faith, womanhood, feminism, The Bible, and so much more. Okay, you’ve seriously got me curious now! Hmmmm, does the library have this one? Next step: check that out! You know how much I love to read. So thanks!! !